Planning a trip to Sin City? Feel free to leave your laptop at home. With so many games to play, you won’t need it all. And if you do crave Slots of Vegas, you can access it on your smartphone. But before you depart, make sure you read these tips. They’re important to know whether you’re a first time visitor to Sin City or a Las Vegas Boulevard regular. You don’t have to be a high roller to get treated to a little extra. One of the biggest misconceptions in Las Vegas is that management will only hand out free dinner vouchers or show tickets to guys sitting at the $100 minimum Blackjack table. And the biggest gripe Vegas-goers have about today’s Las Vegas is that you could play for hours on end and not get anything for free from the pit boss. But the problem is that players are overthinking it. Yes, playing long and betting big will get you noticed. But more often than not, simply asking for something free could help. If you want free show tickets, ask the pit boss. If you want a voucher for dinner, tell your dealer. They could make it happen. Our “asking” tip goes along way, but if you want to get rewarded even after you’ve left the property, make sure you get a Player’s Card. When you sign up, the casino will track your play at the table and slots. The more you play and the more you bet, the sooner you’ll qualify for rewards. By using a Player’s Card, you could be invited back to Vegas on the casino’s dime with complimentary hotel stays, dinners, and more. In some cases, they might even splurge for your airfare (if you’re a big deal, of course). Everyone dreams of a weekend getaway in Vegas—which is why you should plan your visit between Monday and Thursday. Fly in on a Sunday and you could sneak in 4 or 5 nights for less than the cost of a Friday night and Saturday night stay. Plus, you’ll enjoy less crowded restaurants and emptier show theaters, which means better service and discounts on what you want to see. Have you ever been to Las Vegas in the middle of July or August? I have. And it’s disgusting. Yes, it’s a dry heat, but when the temperature gets up to 120 Fahrenheit, it’s pretty brutal out. If you can tolerate it, you could end up saving cash on your stay, especially if you couple it with our mid-week Vegas tip. Remember, all the casinos are indoors, so you’ll stay cool as long as you’re inside. Airport taxis like to scam tourists. If they think you’re new to Vegas, they’ll take the highway to your hotel. If you’re on the strip, that’s unnecessary and will end up costing you a bunch of extra money. When you get in the cab, tell the driver to avoid the highway. You might see cabs zipping along Hollywood Boulevard, and if you’re from New York you might be tempted to flag them down. But they won’t stop, no matter how great you are with whistling and sticking out your arm. Taxis are only allowed to pick up people at the designated zones at hotels, so make sure you visit one of those stands if you want to get around. The first time I took a Las Vegas taxi from the airport, I asked the driver to avoid taking the highway. Needless to say, he took the highway, which ending up costing me an extra $15. I vowed never to use taxis again, except I never stuck to that vow because up until recently, there hadn’t been any alternatives. But now, you can use Uber and other ride-sharing services to get around Las Vegas, all for less than the cost of a taxi. All the money you save could add up to extra gambling coin. If you’re come to Las Vegas a few days, chances are you’ll want to gamble each day. 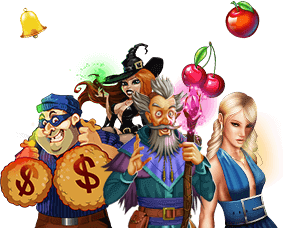 Instead of bringing all your money to the tables or slots, divided your bankroll into bunches. So if you’ve got $800 and you’re there for four days, commit just $200 to gambling money for each day. Sure, you could bet bigger by bringing the entire $800 with you on Day 1, but if you lose it all, you’ll have nothing left to do for the remainder of your trip. It’s fun to see someone on the street dressed is Elvis, a random Minion, or someone else. But these people aren’t there to make your trip to Vegas more memorable. If you stop to take a photo with them, be prepared to shell out the cash. They charge for these pics. The prices are usually negotiable in person, so be sure to ask how much they want before you pose for a pic. Failing to do so could get you into trouble. Bellagio is directly across the street from Planet Hollywood. The first time I stayed at Bellagio, I ventured across to Planet Hollywood to get something from the ABC Store, which is located within the shops. I told a person I was with that I would be back in 10 minutes. I returned 45 minutes later. The walk from my room at Bellagio to the crosswalk at the edge of the street took 15 minutes. Then another 15 back. That’s 30, plus the time to get to the ABC Store and find what I was looking for. This is the case all over Vegas. In some cases, it could take 10 or 15 minutes to get across the street. Aside from a few street level crosswalks, the way to cross most streets is via escalators and overhead walkways. It’s quite chaotic, but it keeps people safe. There’s nothing worse than sitting down to play casino games without actually knowing what you’re doing. If you’re heading to Vegas, practice your game before you touch down in the dessert. You can brush up on your game or try out a new one now at Slots of Vegas. Create your free account and play for free.